- Recruitment of channel partners & building FOS team. - Identifying new buildings & commercial premises. - Controlling Channel & Channel Partner Manpower (FOS) attrition. - Driving the coverage programs like demand generation, customer focused programs, industry forum participation etc. - Facilitating the issue resolutions at customer end through partners and support teams, if any. 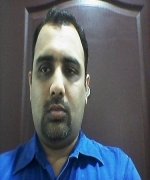 Founder at Talentfair Consultancy Pvt. Ltd.